The event is taking place again at The London Stone, opposite Cannon St station in London. 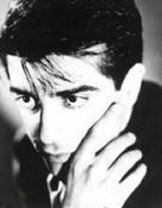 This time it will be a Mick Karn special as it is taking place on his birthday! There will definitely now be an auction of rare and signed items, plus a stall selling Mick Karn and related CDs plus photos etc. The DJs now include Dom from Furiku and Stephen Singleton (ex-ABC and music producer). The London Stone are allowing us to use the club and facilities for free which means that all of the door take will go to the Mick Karn Appeal, in addition to money raised from the auction, stall and a requests donation tin. I'm planning to play some truly awful music until that donations tin is filled up . Quite a lot of people have paid in advance this time (more than did last year), I think it'll be busy. Just a question Paul, de we need to print the paypal receipt or just say our names at the door? Probably best to print out the Paypal receipt because I won't necessarily be on the door. If we reach capacity I want to ensure that the people who have paid in advance get in first - so having the receipt will help to get past the door man outside the venue in the eventuality that we sell out. Okay Paul, then I will print it! Thanks! If you are planning to come please make sure you arrive early (8 - 9pm) to have the chance to buy items on the stall (including CDs, signed postcards, badges etc). The auction has some amazing items and will end at 11pm. It was SUPER FUN!!! Oh, why doesn't I live in London so I can go every year???? I am very happy I came! Good music, new and old friends... What else would I need! Great meeting you all!